RT’s Bank’s closed in the UK as war looms. Controlling the media is a common first step in preparation for war. RT bank accounts blocked in UK. I don’t generally like to post this type of material within this section of my site but regarding this issue, I will make an exception. 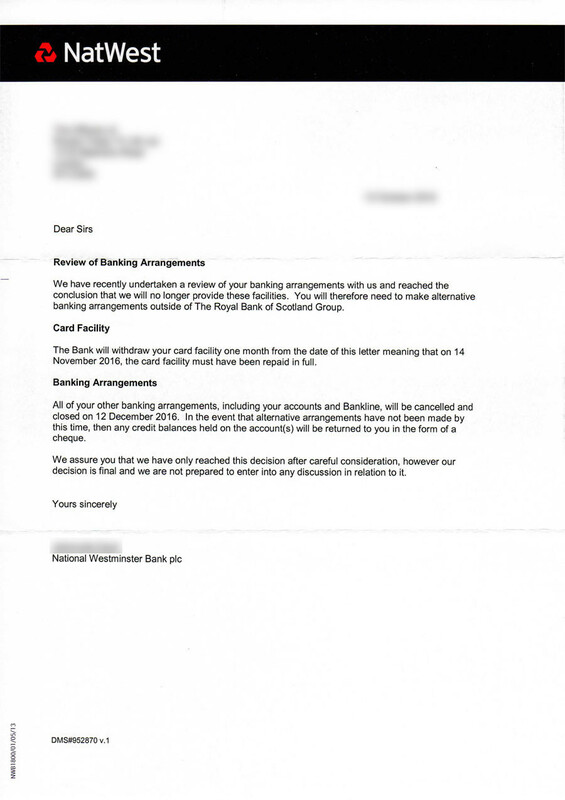 The Royal Bank of Scotland which is now mostly own by the UK government since it was forced to step in during the 2008 banking crises has just informed RT that it will no longer cater to its banking needs. No reason was given nor way of appeal. Natwest is part of The Royal Back of Scotland Group. If you the reader are totally ignorant of the fact that we are now closer to a possible nuclear exchange with Russia than at any other period since the break-up of the Soviet Union, and I would suggest... than much of the Cold War then it is because you have relied on a biased Western Media that now spans roughly 90 percent of the globe and has been spoon feeding you that which favours their agenda. Often, here in the West we are led to believe that our governments actually care for and that the Russian leadership couldn’t care less for its own citizenship. But knowing that a nuclear exchange is more than possible at this time we discover that it is Russia and not the West who are making preparations to protect their citizens. - Article by The Independent. The US leaders seem to be disconnected from reality. The current situation in Syria is tentative, no one really knows which way it is going to go yet in my humble opinion, it is unlikely that the those being driven by the spirit of antichrist to form a New World Order for that man of sin to inherit at his appearing can stop pushing that agenda. And from the Russia angle, if they back down and allow Saudi to feed all of Europe with its oil through planned pipelines, Russia is finished. public of the imminent threat of a third World War, but they just aren’t interested. One of the main assets that we know Russia has its S-500 missile system, and if as many believe the United States is Mystery Babylon then the US might very well be in for a surprise. And with the US out of the way and the earthly political system returned to the the Old World as if was in the sixty ninth week of Daniel, the final seventieth Week [Seven years] should follow wherein are horrors never before seen since there was a nation on earth. RT: NatWest to close Russian channel’s UK bank accounts. - Article by the BBC. RT chief Ms Simonyan said the closure included the personal accounts of some senior staff working in the UK. - Quote from the BBC Article above. Obviously, unable to find any legitimate reason for silencing RT, in their frustration they simply decided to pull their bank accounts in an attempt to prevent them from funding their UK operations. As with Hitler and other fascist regimes such as the coming socialists New World Order, their biased control of all media will apply to everyone even to the point of censoring tiny little sites like my own. Russia orders all officials to fly home any relatives living abroad, as tensions mount over the prospect of a global war. - Article by The Daily Mail. Politicians and high-ranking figures are said to have received a warning from president Vladimir Putin to bring their loved-ones home to the ‘Motherland’, according to local media.